You’ve probably noticed from our blog posts that we are more than a little house proud and we know that our customers and readers are too. With this in mind, we are very excited to be heading along to the House Beautiful awards next month as sponsors of the event. The awards ceremony, which is in its ninth year, is often referred to as the ‘Oscars of the home industry’, so we’ll be fishing out our gladrags from the back of the wardrobe and polishing our best shoes so that we look the part when we head along to the Science Museum in Kensington on November 8th. The awards celebrate the best across the home design industry, from the greatest products and services on the market right through to the TV personalities and design experts who bring the latest in home design into our living rooms. As well as being strongly in line with our own core values, the event holds a special place in our hearts as previous award winners. 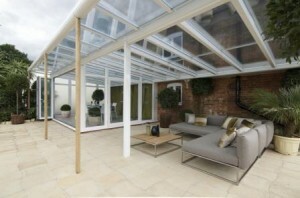 In 2010, we won the Gold Award for Best Garden Product or Range with our Conservatory Verandah – an item that’s still very popular among our house-proud customers. Alongside sponsorship of the event itself, we are backing the inaugural Designer of the Future Award, which we’ve developed alongside House Beautiful. Promoting British design and talent is at the heart of what we do. We are constantly impressed and inspired by the new talent joining our industry and we can’t wait to see the best of the best on the night. And, fresh from our mega mingle at the Grand Designs Live Show we’ll also be catching up with David Domoney, an old friend of Anglian Home Improvements who will be hosting the show. Other guests are expected to include Sir Terence Conran and daughter Sophie Conran, Tommy Walsh, Mary Berry from popular Great British Bake Off, John Rocha and Oliver Heath. So, we’ll be doing our best not to get star struck, however hard that may be with the talent and top personalities in attendance. Watch this space for details of the event and it’s winners – we’ll be saving all the shows juicy gossip just for you!